When I was younger I wasn't much of a yogurt eater. I wasn't into the taste or the texture. Years past and my tastebuds have changed and I've actually started eating and enjoying it more often. Hey! It's good for you. So one day I posted in my Instagram this yogurt I was eating and enjoying and my cousin commented that I should try Noosa. Well, I've never heard of Noosa at that time and I wasn't even sure where I could get one. Then I thought, hmmm! I should check out their website and see what store carries them. I was in luck. Target and some Walgreens actually carries Noosa. I was so excited 'coz there's a Target not far from us. So, I emailed Noosa and I was so excited when they got back to me. A few days later something showed up in the mail and I received 8 free Noosa coupons and 2 cool stickers. I couldn't wait to get to the store and grab some. I just wanted to taste and see what my cousin was raving about. Well , enough about my gabbing and let me tell you a little bit about this awesome and great tasting Yoghurt. You honestly can’t believe how beautiful it is in Noosa until you’ve seen it with your own eyes. Tucked away on Australia’s Sunshine Coast, this little shire is surrounded by sandy beaches, cool fresh rivers, and lush rainforests. There’s even a national park, where you can go walkabout and spot sleepy koalas swaying in the gum trees above. Don’t get your knickers in a knot! We’re getting there. You see, we don’t think it’s a coincidence that the recipe for our uniquely thick and velvety, deliciously tangy/sweet yoghurt was created in such a paradise. Nor is it a coincidence that when our founders landed in the Colorado foothills and found a similar culture here—gorgeous natural scenery and locals who love to play in it—they felt instantly at home. They also knew it would be a great place to make the best yoghurt in the world for their mates in the US of A, which is how Noosa got its start here, and why you’re enjoying it now. Oh! One more thing. Check out their ingredients HERE. So here's my review and link if you want to try this deliciousness. 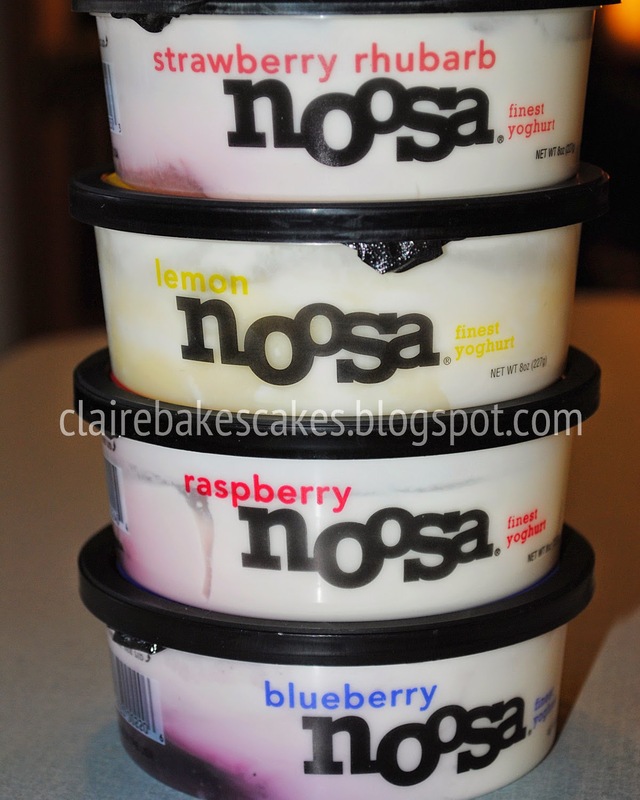 Noosa is by far the best yogurt I've ever tasted. I'm not just saying this because I got them for free. It's because it is. I can't even describe the taste. You have to get one. The creamy-ness of it is just perfect. They have 10 flavors and the store I went to only carried 6 but I only liked 4 of the flavors. I wished they had mango but they didn't :-( O well. So I got Strawberry Rhubarb, Lemon, Raspberry and Blueberry. My fave was the Raspberry and Lemon. You can taste the fruit in each bite. Like I've said before, I've tried a lot of yogurt and to compare this with the other brand it's just crazy. Love this yogurt and will definitely be buying more. I just saw that BJ's wholesale clubs carries them as well, so I guess I will be taking a trip there sometime this week. Want to see what FLAVORS they have? Ever had this problem? Trying to open the door, open a can of soda or in my case trying to open my washer. See, trying to do good deeds by doing some chores and then your nail breaks. UGH! This was not a tiny break, this was almost coming off my nail bed break. I guess I have to fix it now or my thumb nail would look weird so short and the rest of my nails are pretty and long. It's a good thing this happened at home and not somewhere, where I won't have my trusty Kiss nail glue and some good old tea bags laying around. Well, first you need to clean your nails. Grab your glue and a tea bag (empty the tea out first) then cut a piece of the bag to fit over your broken nail. Normally I would use my Kiss silk nail wrap, but I was out so this was the next best thing. It's just as sturdy and works just as great. I cut up enough to cover my nail. Cover you nail with the glue and place the piece onto your nail. Push it with a stick to smooth it out or place a saran wrap (cling wrap / plastic) over and smooth it out without getting stuck to the glue. Let it dry. Trim the edge or just use a nail file. Repeat the process if you want to double it, you can, but I only used 1 layer. I buffed it until it's not as visible anymore then I coated it with another layer of glue and let it dry. Before I do my review about this amazing tasting chocolate you need to know the story about how this became Guylian. Guy Foubert was a passionate Belgian Chocolatier making handmade chocolate truffles in Sint-Niklaas, Belgium. In 1958, Guy and Liliane joined their names, both in marriage and in their company name creating Chocolaterie Guylian; a small, artisanal chocolate maker. Today, Guylian crafts the finest authentic Belgian chocolate truffles, selling them to chocolate lovers in Belgium and in more than 100 countries across the world. Guylian “ultra-indulgent” luxurious chocolate seashells are 100% pure, silky smooth, dark and white Belgian chocolate and are filled with our rich & creamy signature hazelnut filling. The Guylian brand dates back to the late 1950’s when Guy Foubert, a passionate Belgian chocolataire married his love, Liliane, who then joined names creating Chocolaterie Guylian. Today, Guylian crafts the finest authentic Belgian Chocolate Truffles, utilizing the original handmade recipe of Guy and Liliane. Our original signature truffle recipe is still made in small-batch copper kettles exclusively by Guylian’s Master Chocolatiers in Sint-Niklaas, Belgium. Ok, so on with my review. I've had a great opportunity of receiving several boxes of these delicious chocolate. I can remember my very first Guylian. My mom bought it at this store that was closing and I was in love ever since. That was about 20 years ago. I've said this enough times. I am not a big fan of sweets, but this is something I would never say no to. I can honestly say that this is by far my favorite chocolate out there, and for me to say that, it must be good. I wasn't going to share but, how could I possibly eat all these. So, I shared, lol. I gave some to my girlfriend, my mom and a box even went to the Philippines to my Grandma ( I sent her the fancy one with the bow for Christmas). Someone asked me why this chocolate is different and why I love it so much. I just tell them because it's well made and it actually taste divine. The smell alone would make me want to lick the box. It does look too pretty to eat, but it still ends up in my mouth. The texture is rich and so creamy that it melts in your mouth like butter. Here's the cool part. The President of Guylian Company, Mr. Cobb was nice enough to do a giveaway to one of the lucky readers / followers of my blog and receive a boxful of these delicious chocolates. 1. Did you know? Cocoa butter has a low melting point (just below body temperature), so the moment you first touch a Guylian Chocolate, you can feel it start to melt. As you place the Guylian chocolate in your mouth, it creates a luxuriously creamy texture that is meant to be slowly savoured. 2. Guylian has been the major sustaining sponsor of Project Seahorse since 1999 donating more than $1.5 million. Please visit their link HERE. If you want to know more about Guylian, make sure you visit their SITE. Sign up for their Newsletter to see what they come up with next and to keep you up to date with their products. Make sure you LIKE their Facebook page. Want to buy some for yourself get them HERE. I first saw these yummy chips from my friend who also is a blogger. You should check her site out at Chetopian Family, she does lots of giveaways. Anywhooo... I love chips, but most of the chips our there are so greasy and no nutrients on them at all. 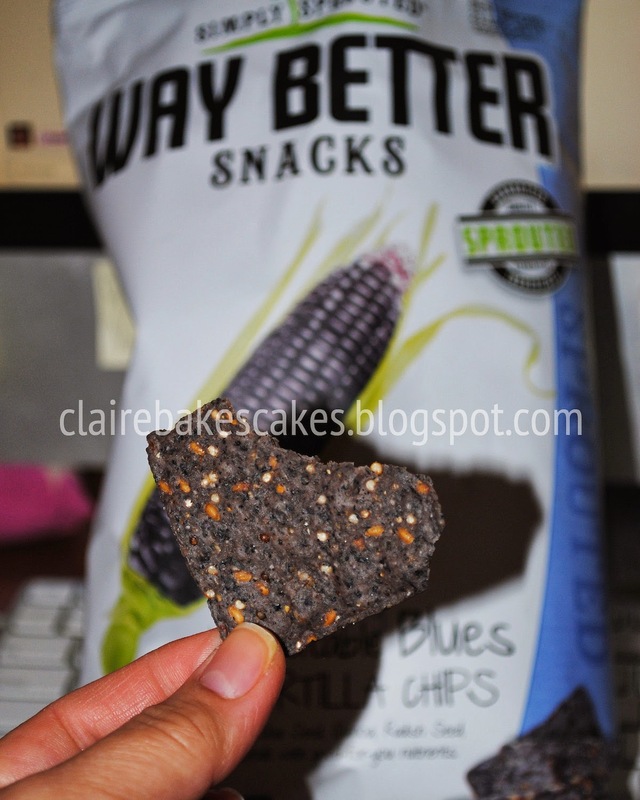 That's why I had to contact the people at Way Better Snacks to see why their chips are much better than the others. Here's what you need to know about their chips and why it's definitely Way Better. They use simple ingredients to produce a great tasting and nutritious product. Sprouting provides increased vitamins, minerals, antioxidants, digestibility and nutrient absorption. Whether you're snacking by yourself or with friends, they have flavor that fits. Their broccoli and daikon radish seeds contain sulphoraphane glucosinolate, the natural antioxidant found in broccoli. Plus, each serving of their chips contains at least 17 grams of whole grains. 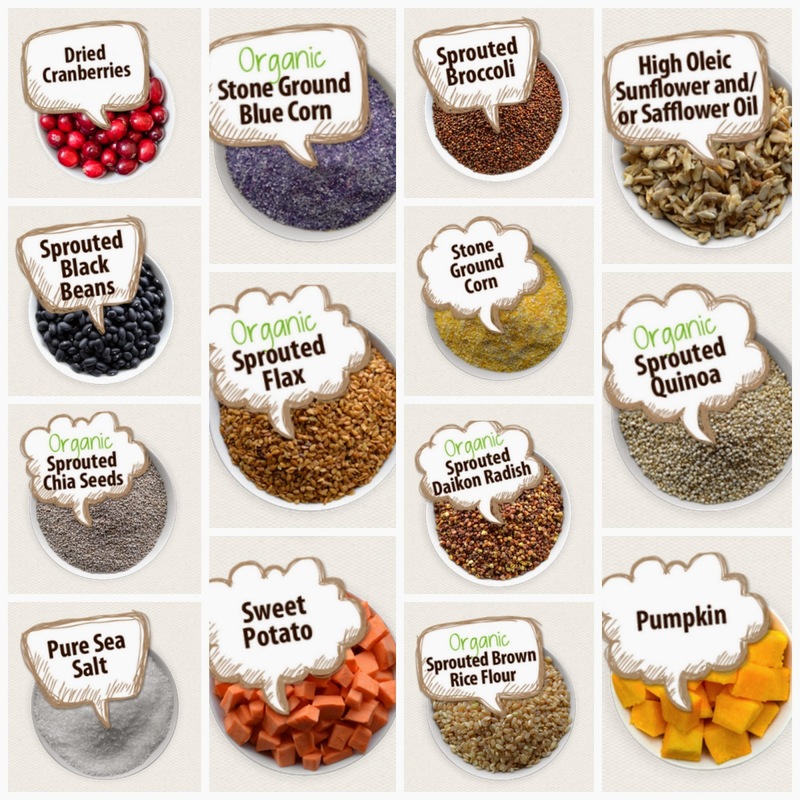 What do you get when you add sprouted whole grains & seeds to a tortilla chip? A Way Better Snack! Every chip in here is bursting with goodness, because we’ve unlocked the powerful nutrients found in perfect, unprocessed ingredients. So when you share these deliciously sprouted chips, you’re actually improving someone’s well-being. You’re the best. Still good & crunchy. Still great with salsa. Just better for you. Doesn’t that make snacking better too? 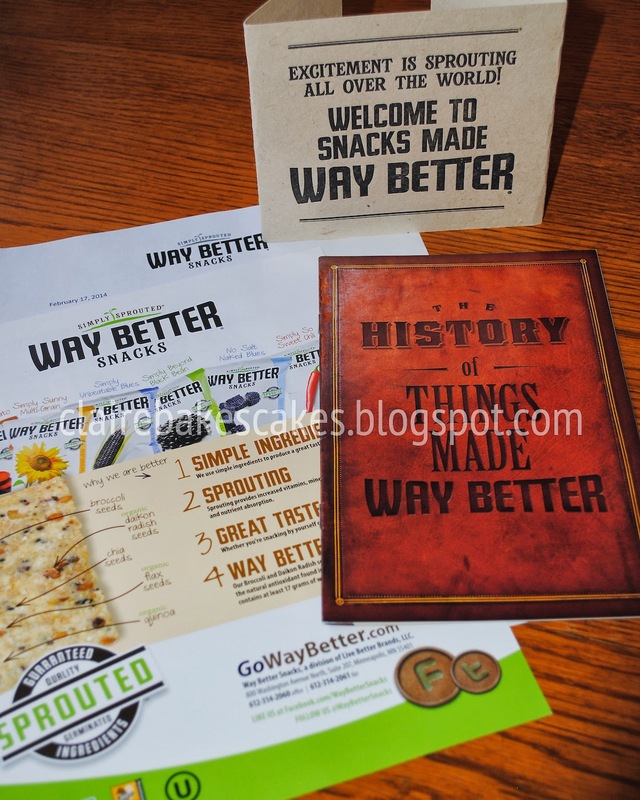 It all started with a simple vision to create a better snack. We wondered, wouldn’t it be great to go back to a time when the food we ate was actually nutritious and good for you. You know, before decades of environmental harm and mega food conglomerate processing wiped out most of the nutrients which used to be abundant in the food your grandparents ate. To make products you could feel good about eating again and sharing with others. Well, with that in mind, we decided to do just that. And we were led to the miracle of germination (you might know it as sprouting). Now we know that nutritionists and naturalists have been touting the incredible nutritional benefits of sprouting for years. And we knew how sprouting unlocked all the “good” that is inherent in all grains, seed and beans and brings them back to life (nutritionally speaking). So we thought, why then couldn’t we combine the powerful benefits of sprouting to a great tasting snack? You know sort of like those old TV commercials with that guy and girl tripping into each other with their chocolate and peanut butter. Anyway, you get the picture. So, supported by the memories of simpler days gone by, we began to craft our products. And after many tries, we can say we’re proud to share Way Better Snacks with you. All are high in omega 3’s, antioxidants and other vital nutrients, and all are low in sodium and saturated fat. Way Better Snacks! They pretty much named themselves. So grab a bag of Way Better Snacks, sit back, kick your feet up and think about some great old memories of simpler days gone by. And Enjoy! Plus look at all the ingredients. Yummy goodness on each and every bite. What we love about it is the taste. You can actually taste all the flavors and it won't leave that oily taste in your mouth. It's also thick enough for dips. We love chips in this house. We eat them by the bagfuls. If there's chips around, you bet it will be gone quick. But, like I said we're used to eating the greasy ones admit it, they taste good even though they're covered in oil and makes a pretty mess on your hands. So, the real taste test was with my family. Specially the little ones. Most of my reviews are based from them when it comes to the food reviews. The first one we tasted was the Unbeatable Blues Tortilla Chips. I was looking at the kids faces when they had their first bite and crossing my fingers behind my back. VICTORY!!! They loved it, they really loved it. I was so happy that they did. When the bag was gone. We tried the Sweeet Potato Tortilla Chips and I had to take the bag away from them or they will devour the whole thing, and I had to taste it too. LOL! The great thing about it is they are available at our local store. YESSS!!! If you would love to try these chips or if you're already in love with the taste you can check them out. Over the years my hair has gotten thinner and I'm loosing tons of them every day. I've always had long hair, even when I was a kid and I love doing my hair. Then when I had kids I didn't have a lot of time doing fancy stuff to it so most of the time I just tie it in a ponytail and go on with my day. So when I saw a friend of mine and she had a bun on her head I asked her what it's called and so I went and bought myself a Conair Bun Maker Set. It was easy to do and I love it. Keeps intact for the whole entire day and I don't have to worry about my hair getting in the way of my daily chores. Hope the video helps you out a bit. There's no audio on my video (sorry). 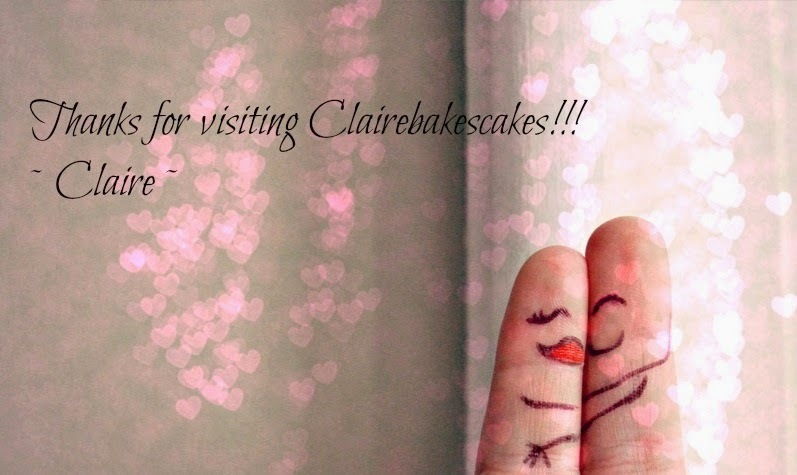 Hi, My name is Claire I married to a wonderful husband and we have 2 beautiful kids Lex and Gus. 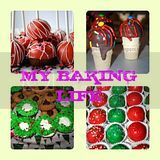 I am a SAHM, friend, sister, baker, cook, blogger, photographer and a goofy aunt. This is my sanctuary and my to go place if I need to de-stress. 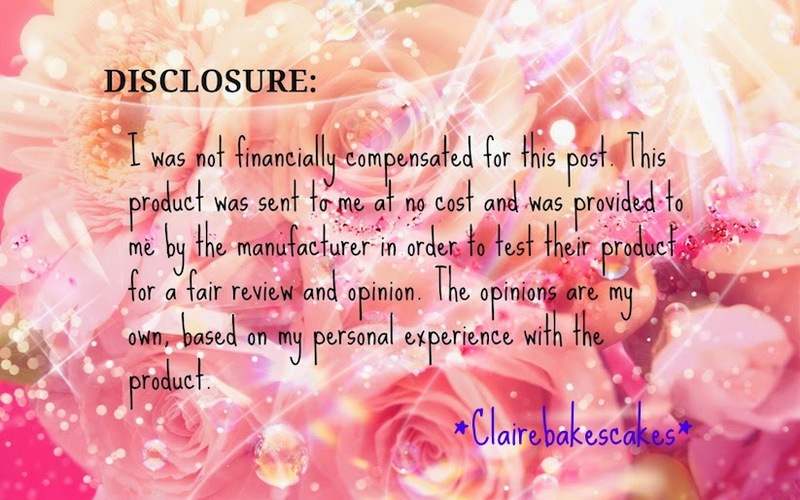 Keep an eye for my Reviews and Giveaways. Stay a while and look around.